Aalbers’ staff of over 100 skilled team members with many years of combined experience concentrate on customer specifications while maintaining scheduling needs. We are continuously seeking innovative processes to optimize tool design & provide top-quality molds. Our standard component library provides unique design innovation for a more cost-effective assembly and more efficient manufacturing. 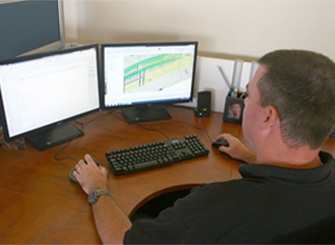 Initially, full reports are provided for feasibility of all part data. Mold-ability inspections are conducted to review for molding issues as well as to suggest possible areas of improvement. Other engineering services include mold flow, mold cool and mold warp with a full report provided. Finally, reviews conducted on or off-site, via web or file transfer, will cover all aspects of customer specific design requirements.